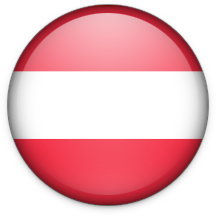 Brenntag Austria has been certified by Quality Austria ISO 9001:2000 since 1999. The validity of this Quality Austria Certificate is guaranteed by annual control and three year extension audits. Above and beyond that, it’s important for the individual areas of our business to fulfil their obligations and be able to formally prove adherence to official standards. For that reason, Food Production in Guntramsdorf holds ISO 22000 Certificate (Food Safety), and Pharmaceutical Filling holds a GMP- Certificate. After the introduction of a certified HACCP-concept, Brenntag decided to develope qualitatively. In 2013, the food production in Guntramsdorf was ISO 22000 certified. The validity of these ceritficates is monitored by annual audits and three yearly renewal audits.